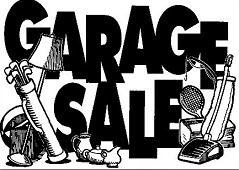 Oakhurst Neighborhood Association, Fort Worth, Texas: Coming Soon: The Eleventh Annual ONA Garage Sale! Coming Soon: The Eleventh Annual ONA Garage Sale! Register using this form (download and print), which you will also find in your April Oak Leaflet. ONA will secure the garage sale permit, place ads in the Fort Worth Star-Telegram advertising the garage sale, and provide maps and listings of all residents holding garage sales on May 22-24. Copies of these maps will be available to you as a garage sale participant, and you can hand them out to customers. All registrants will receive a free currency forgery detection pen. More customers equal more sales for you! Joint advertising of the sale means less work for you and more customers for everyone. The sign-up deadline is Monday, May 18th! If you'd like to help with this fun and worthwhile community event, please contact Karen Cerulla, Garage Sale Chairman, at 817.831.7717.